The Duke analysis appears to rely on the assumption that natural gas prices will remain at current unsustainably low levels. This is not a likely scenario. Already the Department of Energy has applications pending for 24 LNG projects; fleet transportation will offer other markets for gas. Given the recent history of natural gas price volatility, it’s likely that utility executives wherever possible will idle coal plants rather than retire them. The big difference being that idle capacity can be brought back when gas prices rise and more coal capacity becomes competitive. The number of coal mining jobs nationally in 2011 and 2012 were at the highest level in the last 15 years, contrary to the industry’s oft-repeated accusations that the Obama administration is waging a “war on coal,” according to an analysis released today by Appalachian Voices. Using data from the federal Mining Safety and Health Administration, the organization finds that the average number of coal mining jobs under the Obama administration is 15.3% higher than under the Bush administration. The group released the analysis prior to Thursday’s scheduled confirmation hearing for the president’s nominee to head the U.S. Environmental Protection Agency, Gina McCarthy, where the industry is expected to once again attack the agency’s efforts over the past several years to institute public health and environmental protections from coal-based energy. Vicki Smith over at The Associated Press has a story on the Appalachian Voices announcement, and you can look at the group’s numbers yourself here. Folks who have followed my previous stories about MSHA jobs figures for coal mining (see here, here and here) may find the new Appalachian Voices figures a little confusing. That’s because in trying to track short-term trends in coal jobs, I’ve used the coal jobs figures that mining operators report to MSHA every quarter. The new Appalachian Voice release uses annual figures for each year, derived by averaging each the four quarterly figures for each year (the same way MSHA produces its annual numbers). While the data show some variations among coal-producing states, each of the top ten has had more mining jobs on average under the Obama administration than under the Bush administration. Nine of those states saw higher coal mining employment in 2012 than at any point during the Bush years. According to our interpretation, the amount of the proposed tax credit may vary substantially from one year to the next. Due to the expected fluctuation in the amount of available tax credit, we are unable to accurately estimate to potential annual reduction in either the General Revenue Fund or local Severance Tax funds resulting from use of the proposed tax credit. 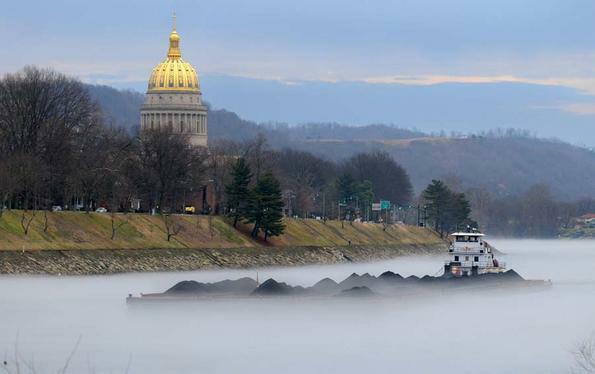 However, the reduction could be significant given the volume of coal potentially consumed in West Virginia. … The Senate should proceed with extreme caution if they plan to consider this bill. It doesn’t seem to accomplish its stated purpose and there seems to be all kinds of wiggle room that would essentially being giving free money away at a time when we are cutting vital program like higher education and domestic violence prevention. After voting to approve the legislation, the EIM committee moved on to other business, discussion plans for a legislative resolution in support of the mountaintop removal permit related to the King Coal Highway, a project for which promoters seem to remain unable to come up with reliable job-creation estimates. One thing that is entirely unclear to me is how the coal tax credit bill encourages power plants and other industries to purchase coal. Shouldn’t the incentive be aimed at the purchasers of coal that could potentially be moving away from coal and toward natural gas? Like I said in the post, perhaps I am missing something. Is the assumption that coal companies will pass the savings from the credit onto the utilities? That was the assumption with the Century Aluminum severance tax credit bill, if I recall. Great headline, Ken, though I’m not sure you can call Bill Raney’s comment a “joke,” given that it’s entirely lacking in irony. It’s just true. What’s funny about that? Another factor to consider is the impact of “The Great Recession.” This has reduced the demand for both steam and metallurgic coal. The Great Recession is symptomatic of economic restructuring that is seemingly deeply rooted and long term. Perhaps I should have written that he said it “with a laugh” or something … I wasn’t in the room (listening to the audio feed), but Bill definitely laughed a bit when he said it. Ken. I surely hope this whole matter is a joke .. We subsidize coal far too much now .. We can stand no more!! Let coal cover their own costs / loses like everyone else or fall by the wayside to be picked up and thrown on the gob pile.